Woulfe Mining announced Monday it is fast-tracking the evaluation of its Muguk gold project in South Korea, the largest gold mine in South Korea until its premature closure in 1997 due to low gold prices. The TSX-listed company says it is now able to focus on Muguk as its Sangdong tungsten-molybdenum project, is progressing at a rapid rate with production scheduled to commence in early 2012. The mine, believed to be one of the largest in the world, would produce about 4,000 tonnes of tungsten worth $180 million per year. Woulfe Mining Corp. (TSX VENTURE:WOF)(PINK SHEETS:WFEMF)(OTCQX:WFEMF) ("Woulfe" or the "Company") is pleased to announce that it is fast-tracking the evaluation of its Muguk gold project in South Korea. Muguk was the largest gold mine in South Korea until its premature closure in 1997 due to low gold prices. — Prepare an NI 43-101-compliant resource estimate for the main mineralised structures. Woulfe management can now turn its attention to Muguk as its flagship Sangdong tungsten-molybdenum project in South Korea is progressing at a rapid rate. 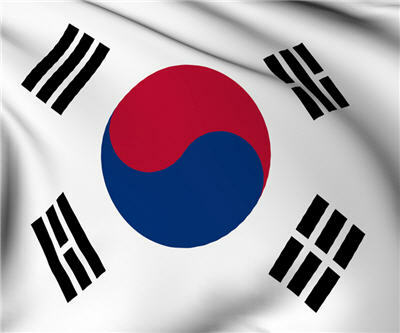 The Sangdong feasibility study is well advanced and construction is scheduled to commence in early 2012. The Muguk gold-silver mineralisation is hosted within a series of parallel, steeply dipping quartz veins that extend discontinuously for 400-2,000 metres along strike and to a known depth of 800 metres. The average width of the veins is typically less than 1 metre, although the veins pinch and swell and can be up to 2 metres in width in places. The two most significant veins are the No.2 vein and the Three Brothers Vein, or Samhyungje Vein. The No.2 Vein was exploited between 1944 and 1972, and was developed to a depth of 755 metres along a strike length of 1,800-2,000 metres. The grades reportedly varied from 7 g/t gold to 50 g/t gold. Reported production during this period was approximately 260,000 ounces of gold. The Three Brothers Vein was exploited between 1984 and 1997, and was developed to a depth of 600 metres. Reported production during this period was approximately 328,000 ounces. There has been minor exploitation of a number of other veins, including Baksan, Geumyong, and No.1 and 7-11 Veins. The executive general manager of the mine at time of closure is now an Advisor to Woulfe and is assisting with the evaluation. He acknowledges that the operation was not profitable at the prevailing sub-US$300 gold prices in 1997, but expressed the view that he was not in favour of closure given the known residual resources. In 1994, Korea Resources Corporation ("Kores") completed a reserve/resource update on Muguk, resulting in a total reserve/resource estimate of 1,418,980 tonnes grading 13.5 g/t gold and 72.8 g/t silver, and containing 615,956 ounces of gold and 3,321,599 ounces of silver, based on a 10 g/t gold cut-off grade. Woulfe cautions that a Qualified Person has not done sufficient work to classify the historical estimate as current, that it is not treating the historical estimate as current and that the historical estimate should not be relied upon. The mine operated for a further three years after this estimate was undertaken. In 2010, Woulfe completed a two-hole program at Muguk to comply with its mining rights obligations, which required a total of 750 metres to be drilled. Woulfe opted to target the secondary No.7 Vein to the west of the No.2 and Three Brothers Veins as known mining extended to a depth of a few hundred metres, and shorter holes could be confidently planned to avoid old mining cavities. The first hole intersected 2 metres at 5.6 g/t gold and 26 g/t silver at 414 metres depth, and the second hole intersected 0.36 metres at 16.6 g/t gold and 16 g/t silver at 386 metres depth. In July 2011, Woulfe commenced a third hole targeting the depth extension of the Three Brothers Vein. This hole is currently at a depth of around 400 metres and is expected to intersect mineralisation at around 735 metres. The objective of the current drilling program is to confirm the down dip extension of the mineralisation below the historic workings and to substantiate the grades that were reported in the lower levels. With the completed 3D model, AMC is now working on preparing the updated mineral resource estimate, with particular attention to those areas that were historically considered low grade (below 10 g/t), given the very substantial increase in gold prices since mine closure in 1997. Brian Wesson, Woulfe CEO/President, comments that, "We are very pleased to be moving ahead with Muguk now that Sangdong is on track for development. Muguk is a very exciting gold project as it has a significant residual resource above 10 g/t gold. With the gold price now more than six times the price when the mine closed, there is potential to increase this resource significantly using a lower cut-off grade. There are numerous secondary mineralised veins within the mining field which add to the potential upside. The grades at Muguk are well above the average for operating gold mines worldwide, recently reported to be around 2 g/t gold."